Nurgül Aytar is Mercans’ Chief Financial Officer and the Director of Mercans’ Turkey operations. She oversees all financial operations of the company and is responsible for compliance with applicable laws as well as company policies. 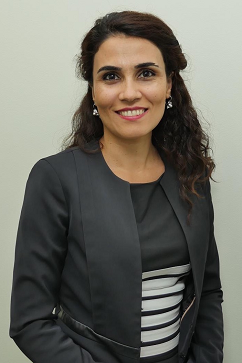 Nurgül’s career in various multinationals spans 15 years, and she is a recognized expert for accounting, finance, budgeting, forecasting and ERP implementations, including more than a decade of experience in payroll. Nurgül obtained her MBA degree at the University of Istanbul. She is also a Certified Public Accountant (CPA) in Turkey.